WIN 10 BOOKS! 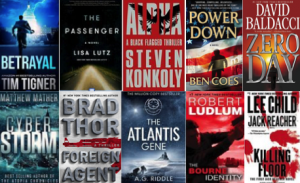 ULTIMATE THRILLER/SUSPENSE/CONSPIRACY EBOOK BUNDLE! Subscribe to Our Mailing List for Exclusive Access to The Omega Files!